A study by Counterpoint Research has revealed that year-over-year, Apple gained one percent of the profit in the sluggish smartphone market. More importantly, it is the iPhone X, the $999-priced OLED-touting smartphone that has been introduced in the news right now. Despite not selling as many units as expected, the flagship alone made five times the profit of the aggregate profit of nearly 600 Android device makers in the last quarter of 2017. Counterpoint foresees fierce competition in the coming year, but this is something the company has been falsely predicting for the last two years. Apple CEO Tim Cook mentioned in the company’s quarterly earnings statement that iPhone X was the best seller during the holiday season that Counterpoint studied. iPhone X outsold the iPhone 8 and iPhone 8 Plus in November and December and performed better than what Apple had expected. The CEO also clarified that iPhone X’s popularity was not just limited to the holiday season. The research states that iPhone 8 and iPhone 8 Plus occupy the second and the third spot, respectively. The phones started shipping on September 22 last year and as soon as the iPhone X started retailing on November 2, rumors were afloat that iPhone 8 Plus performed better than iPhone 8 in the market and resources were diverted according to the demands. It was also said that there were limited units of iPhone X at that time but Apple resolved all the supply issues by mid-December, in time for Christmas. Apple will make its Q2 earnings for the fiscal year 2018 publicly on May 2 but its sales volume will not be categorized according to models. What Is Apple Planning for September 2018? For the 2018 iPhone lineup, the iPhone X Plus is going to be the biggest iPhone that the company has ever announced because it is expected to come with a massive 6.5-inch OLED screen and will be as big as the iPhone 8 Plus and cost $999 for the base storage model. However, rumors are stated that the phone might instead cost $1,099 for the base model and feature a 6.4-inch OLED screen. The iPhone X successor could cost $899, with other rumors suggesting that it will feature the same price tag as the first-generation iPhone X. 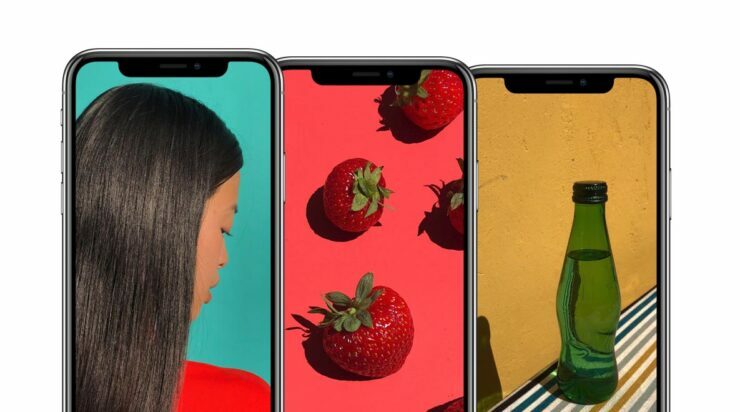 We are also hoping that the size and width of the notch are significantly reduced so Apple will have to find a way to merge all those critical components in a tiny amount of space.